It's responsible for an estimated 16 to 25 percent of cases of severe memory impairment, but what is vascular dementia, and how does it develop? Here’s what you need to know about the condition, which affects memory regions and supporting structures in the brain. Vascular dementia is caused by vascular problems affecting memory regions and supporting structures in the brain, and is closely associated with cardiovascular and cerebrovascular diseases. Vascular dementia (VaD) ranks second among memory loss causes after Alzheimer’s disease, yet it is often overlooked. 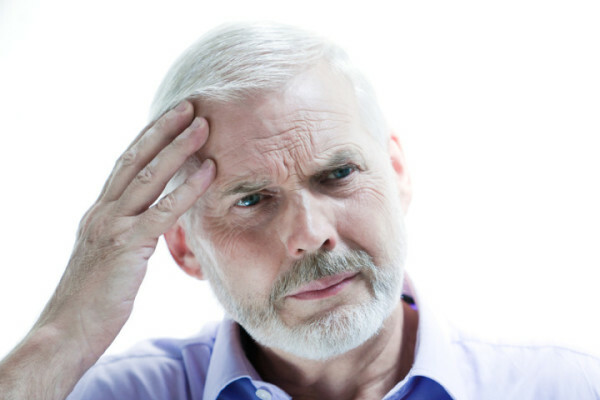 But what is vascular dementia? The condition is caused by vascular problems affecting memory regions and supporting structures in the brain, and is closely associated with cardiovascular disease and cerebrovascular disease. Causes of vascular dementia include strokes and transient ischemic attacks (TIAs). Below, we take a closer look at each type. In about a quarter of cases, severe memory loss is triggered by strokes that destroy cells in regions of the brain involved in learning and memory. During a stroke, blood vessels in the brain are blocked or rupture, starving brain cells of oxygen and nutrients. Damage may occur from one large stroke, a milder stroke called a transient ischemic attack (TIA, or “mini-stroke”) with symptoms that disappear within an hour or so, or over time, as the result of a series of imperceptible tiny mini-strokes that progressively destroy small sections of brain cells. Damage that effects regions of the brain involved in learning and memory can lead to vascular dementia. Although TIAs usually do not cause permanent damage, they require prompt attention to reduce the risk of another, more serious stroke. With multiple tiny mini-strokes, symptoms may appear gradually over time as the damage spreads, and can include memory loss, shuffling movements, inappropriate behavior, and loss of bladder or bowel control. Although you can’t reverse the damage caused by a stroke, TIA, or other forms of VaD, you may be able to avoid further injury to brain cells by lowering cardiovascular risk factors through simple lifestyle changes. Controlling blood pressure and cholesterol, losing weight, quitting smoking, and managing conditions such as diabetes, abnormal heart rhythm, and can reduce the risk of vascular events. Eating well and exercising regularly also can help. Schedule regular medical exams. A basic checkup that includes a physical examination and an electrocardiogram can identify problems such as heart arrhythmias and valve defects. Have your blood pressure checked regularly. A systolic reading of greater than 140, or a diastolic reading of greater than 90, are considered high, and could lead to brain damage. Manage medical conditions such as diabetes, coronary artery disease, and elevated LDL cholesterol, and avoid obesity. Eat a well-balanced diet low in fat, sugar and sodium. Enjoy plenty of antioxidant-rich fruits and vegetables, whole grains, fish and nuts. Stop smoking and avoid excessive alcohol consumption. One in 20 people over age 65, and one in 10 over 80, has atrial fibrillation, or Afib, an abnormal heart rhythm in which chaotic pumping actions cause blood to pool, dramatically increasing the risk for blood clots that can lead to brain-damaging strokes and AD. Research suggests that Afib also dramatically increases the risk for dementia in people who haven’t had a stroke. Afib may be associated with mild cerebrovascular disease that, if left untreated over time, could lead to gradual cognitive decline. This finding underscores the importance of managing cardiovascular risk factors to maintain brain health. Treatment for Afib usually begins with medication, such as drugs to slow the heart rate and blood thinners to reduce the risk of blood clots. If that doesn’t work, the next step might include cardioversion, which uses electricity delivered through paddles on the chest, or drugs to restore an erratically beating heart to its normal rhythm. A treatment called catheter ablation, which burns off heart cells that are producing the abnormal rhythm, may also reduce stroke risk. 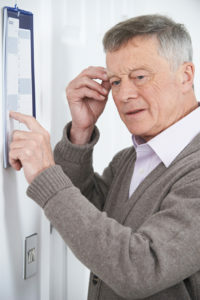 Researchers are looking at whether dementia medications such as cholinesterase inhibitor drugs, memantine, donepezil (Aricept), galantamine (Razadyne) and rivastigmine (Exelon), might be effective for VaD. A review of medications for dementia found no significant benefit from these drugs on VaD, but more research is needed. ablation, afib, alcohol, alcohol consumption, alzheimer, antioxidant, aricept, artery disease, atrial fibrillation, balanced diet, blood clots, blood pressure, blood thinners, brain, brain damage, brain health, cardiovascular, cardiovascular disease, cardiovascular risk, cardiovascular risk factors, cerebrovascular disease, cholesterol, cognitive decline, coronary, coronary artery disease, dementia, dementia medications, diabetes, diet, dizziness, donepezil, exelon, exercise, galantamine, health, ldl, ldl cholesterol, losing weight, medical conditions, memory, memory loss, memory loss causes, mini stroke, nutrients, nuts, obesity, razadyne, rivastigmine, severe headache, smoking, stroke, stroke risk, sugar, transient ischemic attack tia, vascular dementia, vegetables, what is vascular dementia, whole grains. In February 2017 I had knee replacement surgery for my left knee. In April 2017 I had what seems to be a mini-stroke. An ultrasound showed a single blood clot behind the left knee. I used Eliquis for 3 months and was told I could stop. Now about a week ago I have had another of these mini-strokes. I don’t see how these can be connected to the knee replacement and the blood clot. However, they seem to be and I want to know what I should do to prevent them. In February 2017 I had knee replacement surgery. In April 2017 I had a mini stroke. An ultrasound showed a blood clot behind the left knee. I used Eliquis for 3 months and was told all was ok. A week ago I had another mini-stroke. I don’t see how these could be connected to the surgery, but there is no other explanation. What can I do to prevent them. I thought you might be interested in this article on https://universityhealthnews.com: What Is Vascular Dementia?